We will be hosting a Teleconference Call on January 6th at 7:00PM with Scott Ulmer of Little Pink Houses of America and ABLE Mentoring. Scott, Mike and Marcy will all be on call to talk about the ABLE System, talk about some example deals, outline the 3 Day ABLE Crash Course Event and to field some questions about the program. If you have any specific questions regarding the ABLE Platform or the 3 Day Crash Course, this is the time to get the answers directly from the guys and gals out doing these kinds of deals every day. Charlotte REIA Members Can Attend for FREE. Happy New Year from all of us at Charlotte REIA! We are excited to kick off the new year with Linda Dana speaking at our Main Monthly Meeting on Thursday, January 7th at 6PM. The meeting will take place at the Crowne Plaza Charlotte Executive Park located at 5700 Westpark Dr in Charlotte, NC (map). Linda will help you get 2016 off to a great start by guiding you through a speed networking session and then teaching you how to make the most out of the contacts you just received. Your success in 2016 will be highly correlated to the quantity and quality of your buyers list. As a real estate investor, creating and maintaining a quality buyers list is a key component to your success. As a wholesaler, it can make the difference between having to back out of a contract and having a property sold within days, if not even hours!The quicker you can move properties, the more profits you can make and the more deals you can do. Real estate is not only all about what you know, but also about who you know. At this month's meeting, you will have the opportunity to participate in a brief speed networking session where Linda will teach you the key elements you need to highlight when talking to potential cash buyers. She will then show you how to take the information you just gathered and put it all into a database that you will be able to use to market to those buyers with a simple click of a button. Don’t miss this great opportunity to network with other local investors and learn how to put that information to good use to make 2016 your most profitable year yet! All this is happening at the Charlotte REIA main meeting on Thursday, January 7th at 6PM at the Crowne Plaza Charlotte Executive Park located at 5700 Westpark Dr in Charlotte, NC (map). As always, Charlotte REIA Members can attend the event at no charge and Non-Members can Register Online for $15 or pay $20 at the door. Be sure to bring at least 25 business cards with you and join us for an evening of real estate deals, vendors, networking, education and fun! See you there! We will be in Charlotte on January 8th, 9th & 10th for our 3 Day ABLE Mentoring Crash Course at the Charlotte REIA Education Center located at 8520 Cliff Cameron Dr, Suite 108, Charlotte, NC. During those 3-days, we will train you on how to implement our ABLE strategy immediately, and show you how you too can make a minimum of $10,000 for every deal you do. I have two passions outside of my family and religion… Perfecting the ABLE exit strategy, and seeing others succeed using the ABLE system. My team and I are going to give you 110% during these three days! We are offering all of this for NOT $1995, NOT $995... Just $297 for Charlotte REIA Members and $497 for Non-Members. Based on your Minimum Payday of $10,000, the ROI on this training can be hugely significant. You simply cannot find a more applicable and sound investment strategy in today’s real estate investing world. Banking restrictions are more stringent than ever, and believe it or not, the FDIC is getting ready to raise rates. Even more reason “non-traditional” sales, for both buyers and sellers alike, are becoming the wave of the future when it comes to transacting residential real estate. The timing for this training could not be any better. We are excited to see you all on January 8th, 9th & 10th at the Charlotte REIA. Please reserve your seat asap. Seats are limited and are on a first come first served basis. Mark off January 8th, 9th and 10th and we will see you there! 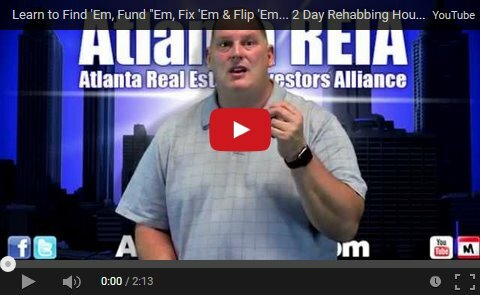 Scott Ulmer has another video he wanted us to share with you illustrating how you can use the ABLE Strategy to DOUBLE and even TRIPLE the profits you would normally make from fixing and flipping a house. Check out how he does it! If you feel you've been unable to maximize your profits on your rehab deals, then this strategy you need to investigate further. If you are interested in learning more, be sure to join Scott at the Charlotte REIA Main Meeting on Thursday, December 3rd at 6:30PM at the Crowne Plaza Charlotte Executive Park located at 5700 Westpark Dr in Charlotte, NC (map) to learn more about the ABLE Strategy and how you can double or triple your rehab profits. Be sure to join Scott at the Charlotte REIA Main Meeting on Thursday, December 3rd at 6:30PM at the Crowne Plaza Charlotte Executive Park located at 5700 Westpark Dr in Charlotte, NC (map) to learn more about the ABLE Strategy and how you can net $10K or more from deals you would normally walk away from. Lease-Purchases That Will Make You A Minimum Of $10,000 Every Time! Please stop what you're doing and mark your calendar for the Charlotte REIA Main Meeting on Thursday, December 3rd at 6:30PM at the Crowne Plaza Charlotte Executive Park located at 5700 Westpark Dr in Charlotte, NC (map). At this meeting, Charlotte REIA will have special guest speaker, Scott Ulmer, who will show you how yoiu can use lease-purchases to make a minimum of $10,000 every time! Using his years of experience, Scott pioneered a new and innovative approach to investing in which even the novice can use to build an immediate Cash Flow of $1,000 to $10,000 or more a month using his unique Lease-Purchase program that ANYONE at ANY level can start investing in real estate in today's market with little money and no credit with this technique coined “ABLE” (Assembling Buyer Lease Estates). You won't want to miss how Scott shows you how to develop immediate and massive cash flow in this new challenging real estate environment. We are looking forward to seeing you at the meeting! WIN A 4 NIGHT STAY IN CANCUN: All participants who attend the Charlotte REIA Meeting will be entered into a drawing for a chance to win a *Complimentary 5 Day, 4 Night Stay in Cancun! *You must be present at the meeting to win. Giveaway does not include dining, transportation, transfers, taxes, upgrades, etc. 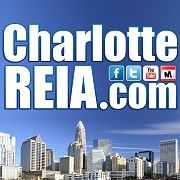 This is a special opportunity for 60 Charlotte REIA Members Only. Seating is very limited and will fill up fast. *PLEASE NOTE: This event is FREE, is limited to 60 members and will fill up quickly. However, there is a $25 reservation fee to hold your seat that is 100% refundable if you attend both days and stays to the very end. There will be absolutely no refunds for no shows or those who arrive late or leave early. No exceptions. Date, Time & Location are subject to change. Charlotte REIA is excited to announce that Paul Rossano, lead trainer with MPactWealth, will be the special guest speaker at our Main Monthly Meeting on Thursday, November 5th at 6:30PM. The meeting will take place at the Crowne Plaza Charlotte Executive Park located at 5700 Westpark Dr in Charlotte, NC (map). Paul will be sharing with us his years of knowledge about being an entrepreneur and investor. Don’t miss this great opportunity to learn how to structure all of your income producing deals to make you more money. All this is happening at the Charlotte REIA main meeting on Thursday, November 5th at 6:30PM at the Crowne Plaza Charlotte Executive Park located at 5700 Westpark Dr in Charlotte, NC (map). As always, Charlotte REIA Members can attend the event at no charge and Non-Members can Register Online for $15 or pay $20 at the door. Be sure to bring your business cards and flyers and join us for an evening of real estate deals, vendors, networking, education and fun! See you there! Member Appreciation Event: Don’t miss the opportunity to learn much, much more from Paul at the 2-Day FREE* Member Appreciation Event on November 7th & 8th. This event is FREE* for the first 60 Charlotte REIA Members who sign up. Many seats have already been reserved, so if you have not RSVP’d yet, Reserve Your Seat ASAP! *PLEASE NOTE: This event is FREE and limited to 60 members who RSVP. However, there is a $25 reservation fee to hold your seat that is 100% refundable if you attend both days and stay to the very end. There will be absolutely no refunds for no shows or those who leave early. No exceptions. Date, Time & Location are subject to change. Join us on Saturday, October 3rd at 9AM at the Charlotte REIA Education Center located at 8520 Cliff Cameron Dr, Suite 108 in Charlotte, NC to learn how to dominate your pre-forclosure market from the master of pre-forclosures, Jason Roberts! Jason is teaching students why this is THE YEAR for pre-foreclosure real estate investing. The market is hot, hot, hot, hot! Banks have an overabundance of inventory and Jason and his students are cashing in big time! Live Seller Calls: How to get more than you can handle, all begging you to take their house. Unlimited Deal Funding: How to access all the cash you'll ever need to fund your real estate deals. By the way, all of what we’re sharing is what works TODAY! It’s not some fluff that was written by someone who’s never been in the business. This stuff works right now, right here in the Charlotte area. I’m also going to be sharing how I made $3.7 MILLION dollars in my short sale business my very first year, doing EXACTLY WHAT I’LL BE TEACHING YOU AT THIS EVENT! I’ll show you my exact recipe of how I did it – my exact marketing plan to get people to hand me the keys to their house, and how you can too. AND THAT'S ALL BEFORE LUNCH!!!! Come Join Us for Great Food, Fun, and Networking! Please RSVP on Meetup.com so we can get an acurate headcount. You can also call (704) 891-9619 to RSVP. Please mark your calendar and make plans to attend our Rock Hill, Fort Mill, and York County Group which is a subgroup of the Charlotte REIA. The meeting will take place on Monday, September 28th at 6:30PM at Beef O'Brady's located at 940 Market St #110, in Fort Mill. This month, Linda Dana will be sharing with us all about the foreclosure process in South Carolina. Don't miss this meeting for some great information and great networking! We are looking forward to seeing you at the meeting! Please make plans to attend this meeting each month on the 4th Monday. How to Make a Staggering Income Flipping Pre-Forclosures! I want you to stop everything you're doing right now and mark Thursday, October 1st at 6:30PM on your calendar. On this date, Charlotte REIA will have special guest speaker Jason Roberts, who will be presenting what is likely to be the most life changing 90 miutes of your entire life! The meeting will take place at the Crowne Plaza Charlotte Executive Park located at 5700 Westpark Dr in Charlotte, NC (map). Jason is going to share with you how just about everything you have ever learned about investing in the past has been wrong. Well, let me clarify... It’s not entirely wrong, but even the right things in the wrong order is a recipe for disaster. How can we make such a bold statement? Forget all the hype and glam about being a real estate investor for a moment. Yes, it’s true that real estate can be the most profitable small business on earth! But it can also lead to trading a full time job for another full time job. Most real estate investors go into the business for themselves with dreams of living life according to their definition of ultimate freedom. Sadly, very few real estate investors ever get there. Most work harder as a full time investor than they did back when they had a full time job. At least with a full time job, when 5:00 came every day, they were able to clock out and go home. But today, most investors work more hours than ever, and even when they aren’t working their brain is still at work. How are we going to do this, you ask? Jason is going to teach you how to create an insanely profitable business by flipping pre-foreclosure properties – all without using any of your own money or any of your own credit. Regardless of what the media is trying to lead you to believe, the foreclosure mess this country is facing isn’t getting any better. If anything, it’s getting worse. That is, unless you know how to profit from this information. You’re getting ready to learn how! Check out this video below to see what Jason is going to teach you. Learn How to Control Properties Without Actually Owning Them! Y'know, it's not very often that a REIA can get a guy like Tony Robinson to come in and speak for us. There isn't anything in it for him financially, he sells no courses or bootcamps, and whatever we could pay him would be downright insulting compared with what he is used to valuing his time per hour at in his business. That being said, Charlotte REIA is very excited to announce that Tony Robinson will be our special guest speaker at our main monthly meeting on Thursday, September 3rd at 6:30PM at the Crowne Plaza Charlotte Executive Park located at 5700 Westpark Dr in Charlotte, NC (map). Formerly career Military, Tony has been buying and selling single family homes in Greensboro since 1996, with a typical month consisting of multiple transactions. Today, Tony manages a portfolio of over 150 income properties! 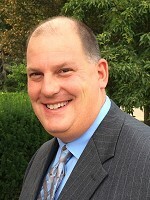 Although well-versed with many techniques and strategies, Tony has become known as the "Lease Option King" of Greensboro, due to his heavy utilization of this unparalleled wealth building technique. But, as Maslow once said, "when the only tool you have is a hammer, you tend to see every problem as a nail". Tony uses a lot of strategies other than lease options, such as wholesaling, retailing, and even good 'ole fashioned rentals. At this event, Tony will give you the perspective of a career veteran on how to incorporate all of these tools into a comprehensive strategy to pay today's bills and build tomorrow's wealth. Tony isn't coming in to share theories or "good ideas", but rather, time-tested methods that have produced consistent, powerful, and profitable results for him for close to 2 decades! Attendees Get Tony's Complete Manual with Up-To-Date NC Contracts! Charlotte REIA is excited to announce that we are offering an opportunity to spend the entire day with Tony Robinson on Saturday, September 12th at 9AM at the Homewood Suites located at 2770 Yorkmont Rd in Charlotte, NC. Tony will be teaching us all about Lease Options and how to use them. Make sure to save your seat and Register Today!! How to get your buyer to the closing table so you can spend your profit! You don't want to try these transaction without proper legal understanding or the correct paperwork. Join Reggie Brooks at the $30,000 Flips In Your Own Back Yard Workshop on Saturday, August 8th from 9AM to 5PM at Homewood Suites located at 2770 Yorkmont Rd in Charlotte, NC where he will show you how you can make $30,000 cash in the next 60 days. While you’ve been keeping your nose to the grindstone, paying taxes and worrying about keeping up with inflation…… silently all across America, shrewd real estate investors are cleaning up. But, right here and right now, things are going to change. Mark you calendar right now for August 8th! Reggie’s going to teach you the steps he took to become a multi-millionaire. And he did it doing exactly what he will be teaching you! It should be obvious. If you use any of the investing tips and techniques that you learn, you could add huge money to your bottom line. The potential truly is unlimited. There are great deals hiding in every real estate market and this training makes finding them easy to find and make money on. You may never have to work at a job again. Reggie Brooks is a dynamic speaker/educator. As an active investor, Reggie specializes in unique ways of finding and repairing properties for resale higher than the prevailing market. Having risen above a life of poverty, Reggie has achieved what many people consider to be impossible. He went from making $36,000 per year at the local telephone company, to making over $40,000 per month in his real estate business. Mark you calendar right now! August 6th at 6PM at the Crowne Plaza Charlotte Executive Park located at 5700 Westpark Dr in Charlotte, NC (map) Reggie’s going to teach you the steps he took to go from making $3,000 per month at the telephone company, to over $42,000 per month in his real estate business. He did it doing exactly what he’s going to be teaching, with Vacant, Distressed, Abandoned Properties! A little known Government program that can easily make you rich while you help other people – You’ll be amazed! After the conclusion of the Charlotte REIA Meeting, we will be reconvening in the Crowne Plaza’s Hotel Lounge for Late Nite Networking. Food and drink specials for our members and guests. Come eat, drink, network and have fun with us as hang out late into the night! PLEASE NOTE: Charlotte REIA Members can attend at Atlanta REIA Member Prices. Location and schedule subject to change. Pricing is per person. No refunds 5 days prior to event. Register now before early registration expires to save $100 off tuition. Class is limited to 45 people. In honor of the 4th of July Holiday, there will be NO Charlotte REIA Main Meeting on July 2nd. Please enjoy the holiday with your friends and family. And we offer a BIG THANK YOU to all those who serve and keep us free. We look forward to seeing you at the next Main Meeting on August 6th or at one of the Weekly Meetings. Charlotte REIA is excited to announce that Don DeRosa will be our special guest speaker this month at our monthly meeting on Thursday, June 4th at 6PM at the Crowne Plaza Charlotte Executive Park located at 5700 Westpark Dr in Charlotte, NC (map). Don will be teaching us how to use different technologies in our business to help us structure win-win deals. Do you struggle with trying to figure out how to make a deal work other than just buying a property with cash? Maybe you realize that bank financing is often times more detrimental than helpful and don't have the perfect credit needed to get a loan. Maybe you have the credit, but just don't want to have to use it. Are you still working a J.O.B and don't have a ton of time to devote to getting your real estate business up and running. Don is here to help! It is an amazing time to be a real estate investor! Don't look back 5 years from now and wish you had acted. Learn how to buy right... Learn how to Make More and Work Less, Right Now! Don't miss this special presentation Thursday night. Also, plan to come spend an entire day with Don on Saturday, June 6th where he will be going more in depth with these strategies as well as teaching more about creative deal structuring and being completely paperless and mobile! *Attendees Get Don’s Creative Deal Structuring Manual! Would you like to learn how to structure deals so you can buy houses with little or none of your own cash and none of your own credit? 15 hours a week. That's all you need. Imagine... taking any seller lead and being able to create a winning deal out of it... Making thousands of dollars where you thought there were none. No more wasted marketing dollars. No more wasted phone calls. No more wasted time. 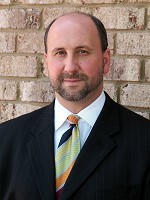 Join Don DeRosa at the Creative Deal Structuring Workshop on Saturday, June 6th from 9AM to 5PM at Homewood Suites located at 2770 Yorkmont Rd in Charlotte, NC where he will show you the state-of-the-art tools and techniques you'll use to evaluate deals and figure out how to make them work – so you can work less and spend more time where you want, when you want and with whom you want. Don will teach you how to fully leverage your investing business on mobile devices! Do you have an iPad, tablet, iPhone or smart phone that you're using for Facebook, movies, games, maybe email, but not much else? Don uses the iPad exclusively to run his Real Estate Investment business...and you can too! Take you business with you wherever you go; have all your comps, photos, and forms right in the palm of your hand!!! Leverage all of your mobile devices to make you the most effective, competitive, and profitable real estate investor you can be! When to use "Subject To", Owner Finance, Wrap Around Mortgages, Options, Lease Options Techniques, etc. Send the sale contract to the lawyer for title search while you're still at the seller's home. Don't let this great learning opportunity pass you by. Register now!